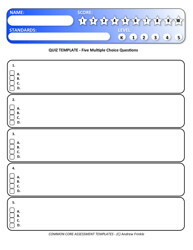 With these forms you have multiple choice quizzes with 5 or 10 questions. 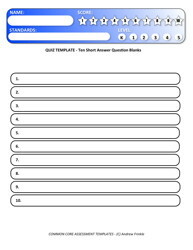 With these forms you can have short answer quizzes with 10 or 20 questions. 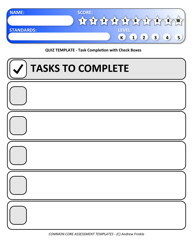 With these forms you can have students complete 5 tasks for a performance assessment. This is great for social studies, speeches, writing, or science projects. With these forms you have true or false quizzes with 5, 10, or 20 questions.